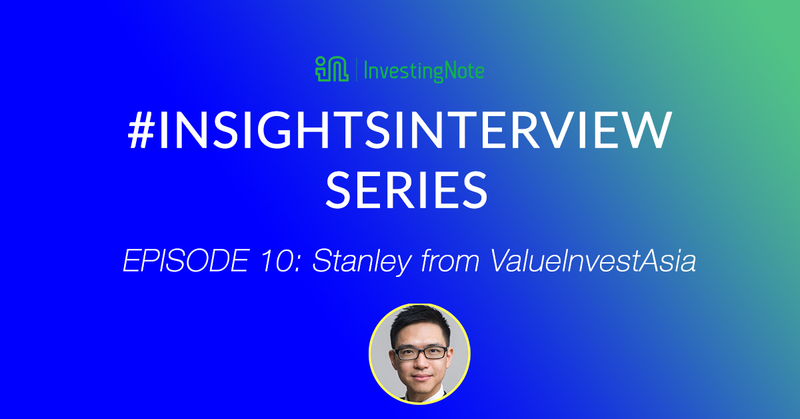 We launched a series of short interviews called #InsightsInterview, to understand how reputable financial experts, bloggers and influencers in the InvestingNote community think as winning investors. 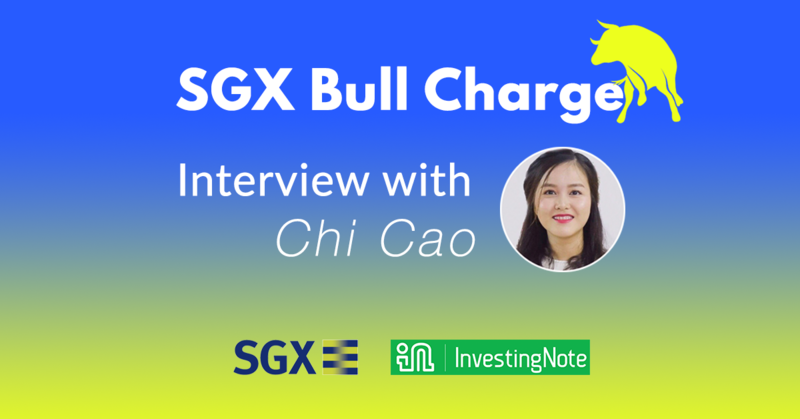 Recently, we got in touch with Chi Cao, one of the top contestants of the SGX Bull Charge Stock Challenge, to understand more about her investing strategies, her philosophy, and what motivated her to get started in the first place. I graduated from Texas A&M University in 2015. During my university time, I was captivated by the financial market and was curious of what caused the market to move. I applied to many firms for a trading role and I managed to get an opportunity to join as an assistant trader for one of the largest brokerage firms in Singapore. Over the course of the two years, I managed to trade in some of the most volatile periods, e.g. Brexit and 2016 US Election. It is through those rites of passages that I grow to fully respect the adage that the market is always right! 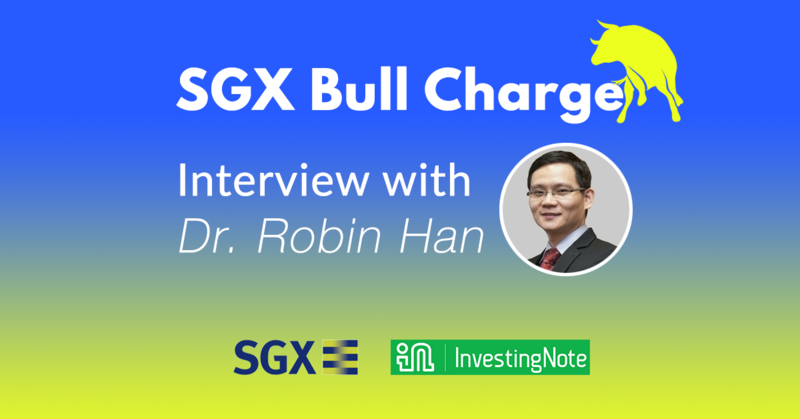 SGX Bull Charge Stock Challenge: How Do Professionals Do It? 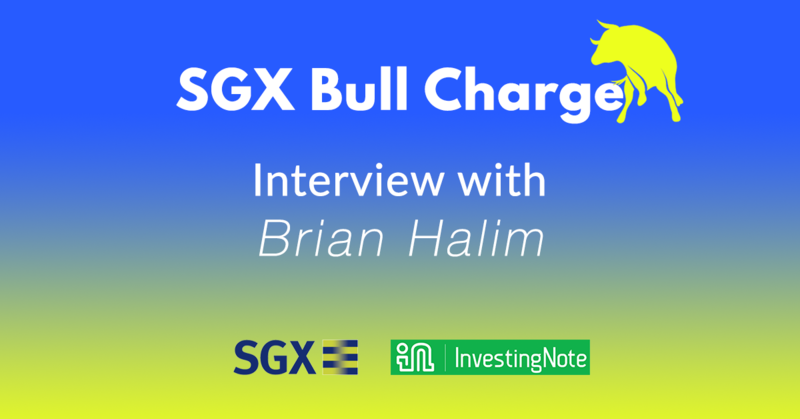 We’re very close to the finale of the SGX Bull Charge Stock Challenge! Recently, we got in touch with Aylmer Tham, to understand more about his investing strategies, his philosophy, and what motivated him to get started in the first place. 1. Tell me more about yourself and how did you get started in investing or trading? I have been a remisier/dealer for the past 10 years, looking to launch my own hedge fund in the near future. I taught myself candlesticks reading by reading 200 charts daily for more than a year till I was able to read charts by just having a glance. 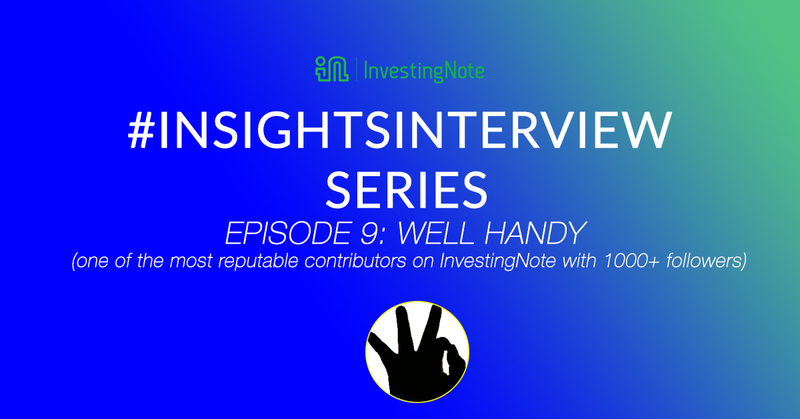 This is # InsightsInterview Episode 9 with one of our top contributors on the InvestingNote Platform, with the username Wellhandy. Previously, we have launched 8 episodes of # InsightsInterview by influential bloggers. To read more about their post, you can find out at the end of this interview. The links are attached to the previous interview series. Recently, we interviewed Well Handy, to understand more about his investing strategies, biggest trade winner and loser, and what motivated him to get started in the first place. Well Handy is one of InvestingNote’s most reputable member in IN Member’s Ranking with more than 1000+ followers, specialising in basic analysis. Till date, he has created many educational post and investment ideas and spurred discussions on InvestingNote platform. This is #InsightsInterview, Episode 9. 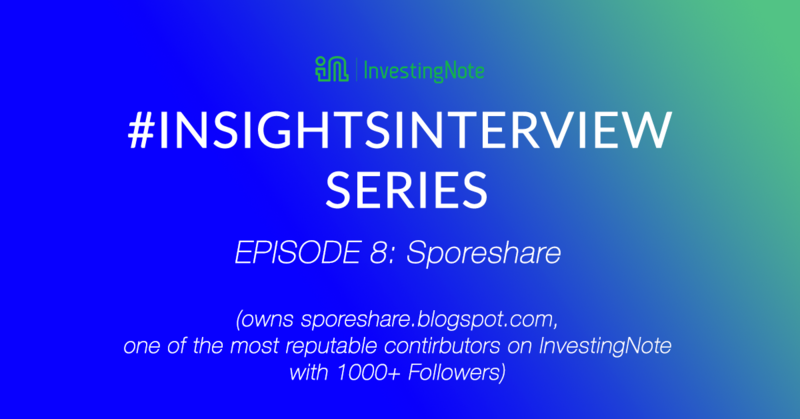 This is # InsightsInterview Episode 8 with one of our top contributors on the InvestingNote Platform, with the username Sporeshare. Previously, we have launched 7 episodes of # InsightsInterview by influential bloggers. To read more about their post, you can find out at the end of this interview. The links are attached to the previous interview series. Recently, we interviewed Sporeshare, to understand more about his investing strategies, biggest trade winner and loser, and what motivated him to get started in the first place. 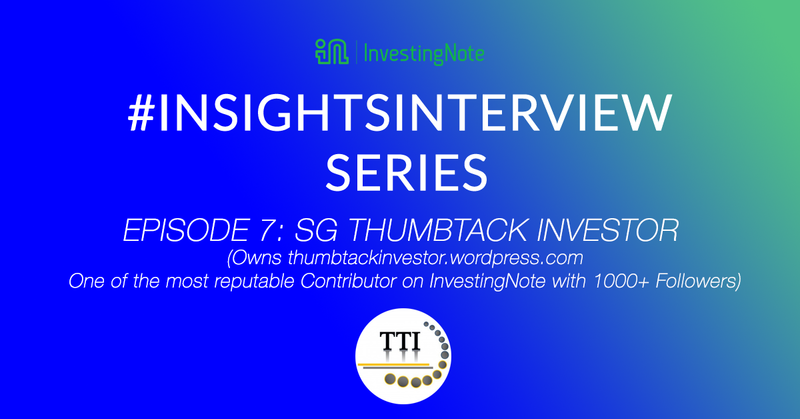 This is # InsightsInterview Episode 7 with one of our top contributors on the InvestingNote Platform, username: ThumbTack Investor. Previously, we have launched 6 episodes of # InsightsInterview by influential bloggers. To read more about their post, you can find out at the end of this interview. The links are attached to the previous interview series. Recently, we interviewed ThumbTack Investor (also known as TTI), to understand more about his investing strategies, biggest trade winner and loser, and what motivated him to get started in the first place. 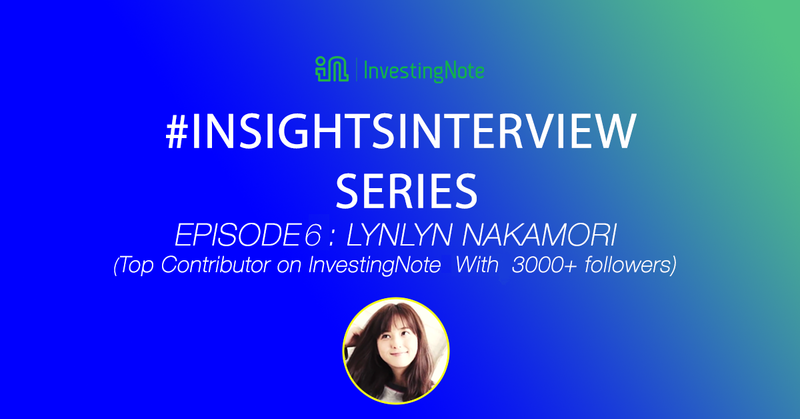 This is # InsightsInterview Episode 6 with one of our top contributors on the InvestingNote Platform, username: Lynlynnakamori. Previously we have launched 5 episodes of premium insights by influential bloggers. Recently, we interviewed Lynlyn, to understand more about her investing strategies, biggest trade winner and loser, and what motivated her to get started in the first place. Lynlyn is one of InvestingNote’s most reputable member in IN Member’s Ranking with more than 3000+ followers, specialising in Technical Analysis. She created discussions and has helped many people analysis charts on InvestingNote platform. This is #InsightsInterview, Episode 6. Tell us more about yourself and how did you get started in investing or trading? 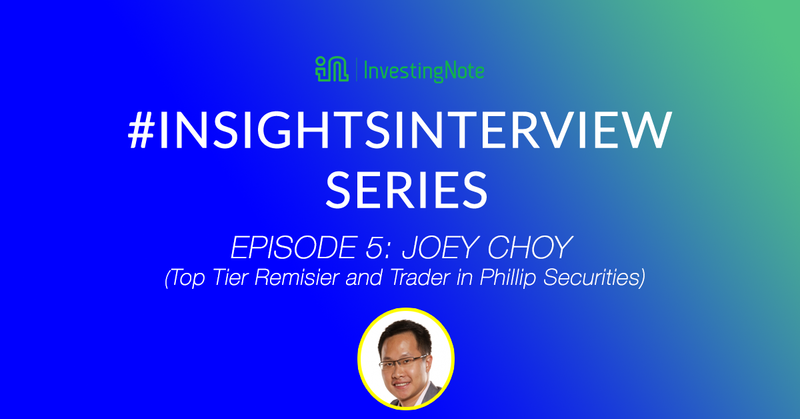 This is # InsightsInterview Episode 5 with Joey Choy, Top-Tier Remisier from PhillipCapital with over 3000+ of followers on InvestingNote. Previously we have launched 4 episodes of premium insights by influential bloggers. Recently, we sat down with Joey Choy on a weekend to understand more about his investing strategies, his biggest trade winner and loser, and what motivated him to get started in the first place. Joey is Singapore’s renowned mentor on how to make an income by trading the stock market, an author and one of the most-watched, quoted and followed stock trading trainers in Singapore.